Our passion is in our name. We’re a family-run, locally owned and operated business that puts honesty and customer satisfaction first. Thomas W. Gargalas, founder of Electrical Integrity, LLC, is a certified master electrician with more than 18 years of experience in the field. His team has over 50 years of combined experience. As a sought-after industry professional — along with his skilled and trustworthy crew — Thomas can tackle the most complex electrical systems or troubleshooting difficulties. Customers often return to Electrical Integrity for additional electrical services. In fact, we’ve worked with many of our clients for years! The team specializes in the following electrical services: residential, commercial, and industrial, along with projects based in correctional facilities and FDA-certified labs, as well as having the State of Delaware maintenance contract, just to name a few. Plus, the company is dedicated to its unique 24/7 emergency customer service guarantee. Have an electrical crisis? Any hour of any day, we’ll be there. And if you choose Electrical Integrity, bucket truck services are available, too. 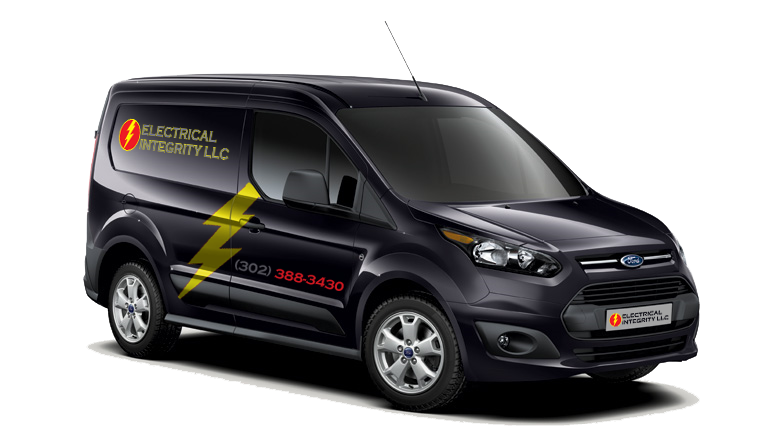 Electrical Integrity is bonded, licensed and insured, which means clients will always receive the most credible and efficient service. We proudly serve customers throughout Delaware, Maryland, and select vicinities in Pennsylvania. Contact us today for your free estimate! From small projects to major undertakings, our experienced staff will get the job done. We offer the below services, and much more! Contact us today for your free estimate.